This age old saying has never rang with greater promise and authority than it does today. As in the modern era, doctors bring with them a battery of tests, drugs, and interventions, all of which carry unintended, adverse health risks that often outweigh their purported benefits, and are therefore best avoided whenever possible. Also, apples are also far cheaper than doctors, and in the worst case scenario of coerced or mandatory treatment can be thrown as a non-deadly (downright nutritious) form of self-defense. While some might take this opening aphorism as mere folk medicine fantasy, the reality is that the medicinal properties of apple are well-documented within the biomedical literature. Multi-Drug Resistant Cancer: carotenoids extracted from apple have been found to inhibit drug resistant cancer cell line proliferation. Esophageal Cancer: An apple-derived procyanidin has been found to suppress esophageal cancer. It is likely that many of the fundamental processes involved in cancer initiation and promotion are inhibited by apples and their constituents, and therefore apples may protect against far more cancers than referenced above. It appears that no matter what part of apple is studied, it has anti-tumor properties. Apple cider vinegar, for instance, has been found to contain an anti-tumor compound which results from the acetic acid fermentative process known as alpha-glycan. Another proven way in which apples reduce the risk of cancer is through their ability to remove carcinogenic radioisotopes that have accumulated in our bodies as a result of the fallout from nuclear weapons, depleted uranium munitions, and nuclear energy and disaster-associated pollution, e.g. Chernobyl and Fukushima. Post-Chernobyl, for instance, apple pectin was used to reduce Cesium-137 levels in exposed children, in some cases by over 60%. From 1996 to 2007, a total of more than 160,000 "Chernobyl" children received pectin food additives. As a result, levels of Cs-137 in children's organs decreased after each course of pectin additives by an average of 30-40%. Significant reductions were noted in as short a time period as 16 days. Apple pectin has even been found to prevent the most deadly, and entirely man-made radioisotope, Plutonium-239, from absorbing in the gastrointestinal tract of animals fed it. We could, therefore, modernize our apple aphorism by saying "an apple a day keeps the nuclear fallout away." And truly, there are very few other substances, natural or synthetic, that have ever been found to protect against plutonium exposure. Apples, therefore, are truly super-foodsin this respect. Diarrhea: Apple, in combination with chamomile, shortens the course of unspecific diarrhea in children. Hardening of the Arteries (Atherosclerosis): Preclinical research indicates that apple contains compounds which prevent the formation of plaque within the arteries. One rabbit study, for instance, found that apple juice was capable of preventing the progression of atherosclerosis in a high cholesterol diet induced model of atherosclerosis. 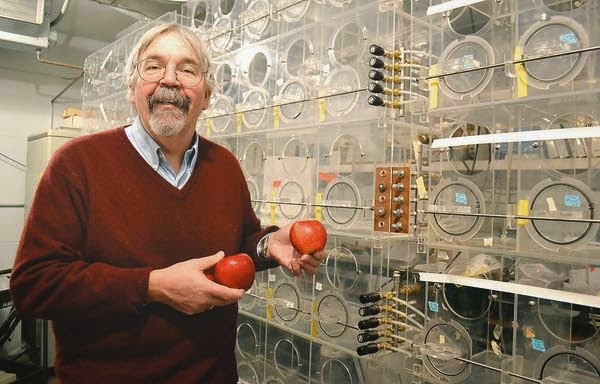 Anti-Aging (Brain): Apples have been found to prevent oxidative damage and impaired maze performance,as well as decreases in cognitive performance in aging mice.Also, a study performed on mice found that apple juice actually reduced the production of pathological amyloid-beta levels (associated with Alzheimer's disease) in the mouse brain. 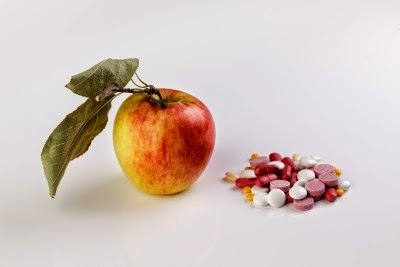 Bowel Inflammation: Preclinical research has found that apple procyanidinsreduces bowel inflammation. Vaccine-Induced Toxicity: Many natural substances, including breast milk, have been found to decrease the synthetically-produced immune reaction associated with vaccines, and their adjuvants. Apple polyphenol counts among these, and has been found to prevent cholera toxin when used as an immune stimulant within vaccines from doing as much damage than it would otherwise do. Periodontal Disease: We all know the sensation that follows eating an apple – that astringent property, where our gums feel squeaky clean. This is due, in part, to quercetin, which is found in apples, tea and onions, for example. It bears significant antimicrobial properties. Apple polyphenol also protects against periodontal ligament cell destruction associated with Porphyromonas gingivalis, a pathogenic anaerobic bacteria, infection. Advanced Glycation End-products (AGEs): AGEs are associated with the oxidation of blood sugars, primarily. These sugars becomes caramelized when exposed to oxidants, and then binds to cell structures, e.g. fats/proteins, causing damage. Apple leaves have been found to have significant anti-AGE activity, including the vasoconstriction associated with AGE-induced endothelial dysfunction. Hair Loss: Remarkably, a procyanidin, labeled B-2, from apples promotes hair growth, in the cell model. Staphylococcal Infections: Apple pectin has been shown to inhibit synthesis of types A and B staphylococcal enterotoxins, which can cause profound bodily damage. The list of evidence-based therapeutic properties of apple is rather extensive. To view the full range of experimentally confirmed benefits view them here: Apple's Health Benefits. Ultimately, this research on apples indicates how important whole foods are to our overall health. Apples are not medicine, rather, they are the means by which medicines become unnecessary. It is through authentic nourishment and detoxification – both functions which are provided to us through most fruits - that we prevent and treat disease (note: these statements likely will never be evaluated or approved by the FDA, because they are true). Also, fruit are archetypally beneficial foods for the human species; we have indexed over 300 experimentally confirmed health benefits of fruit on our database so far. Our evolutionary legacy (confirmed through modern genetic testing*) indicates that our pre-human ancestors lived in a jungle setting, where fruit would have been available year round. This would, in fact, explain why we no longer synthesize vitamin c from glucose – we were so "spoiled" by the abundance of fruit available for so long that we gave up (via genetic mutation or atavism) our ability to provide it to ourselves. Plants and animals live in symbiosis. For the same reason that our lungs take in oxygen and give off carbon dioxide (which is live-giving to plants), the fruits of these same plants provide a seed (which we help disperse), and a flesh to entice us to consume it. Fruit, therefore, is a food source that is as ancient as human origins itself. Could this be one reason why apples seem capable of these amazing feats of healing? Perhaps. Next time you crunch into a crisp, fresh, organic apple, consider all that it has to offer, not theoretically, but viscerally. Experience the joy (the word fruit, etymologically, comes from the Latin word frui, meaning ENJOY), on a first hand basis. Also, if you have never done an apple mono-diet before, consider it. It is not so much a fruit fast, as a feast. 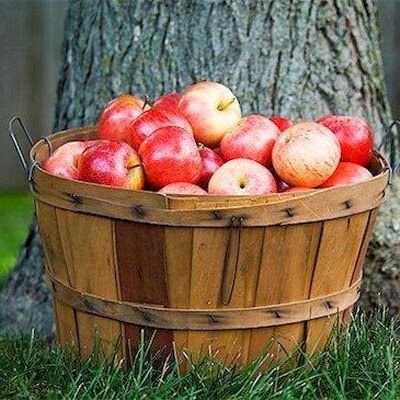 Grab a bag of organic apples, and whenever you are hungry eat one. You will be surprised by how immediate you are satiated, and how cleansing and liberating on the body the exclusive consumption of such a simple, perfect food like the apple really is. One can easily go a day or two using this approach, often with the result of feeling completely renewed and refreshed.